Is Steve Austin Currently Training for a Return Match at WrestleMania? 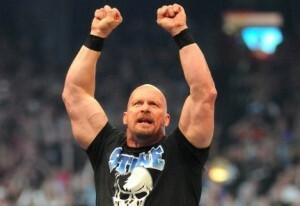 Home » Wrestling News » Update: Is Steve Austin Currently Training for a Return Match at WrestleMania 31? Update: Is Steve Austin Currently Training for a Return Match at WrestleMania 31? According to The Wrestling Observer, this, coupled with the fact that Austin has been talking about training very hard lately, has fueled speculation that Austin might be preparing for a return match with WWE at WrestleMania next year. Backstage speculation in WWE is that an Austin return match is not out of the question, and it will of course all depend on the right creative, money and of course the right opponent. Paglino: This is the yearly, obligatory, “Austin is returning for one more match at WrestleMania next year” speculation. While a return match for Austin is never out of the question as he has said so before, he recently told Sam Roberts of The Sam Roberts Show that he is “not hungry” to return to the ring anytime soon.